After 10 years of evolution, the green roof of the American Society of Landscape Architects is producing a new and varied crop. 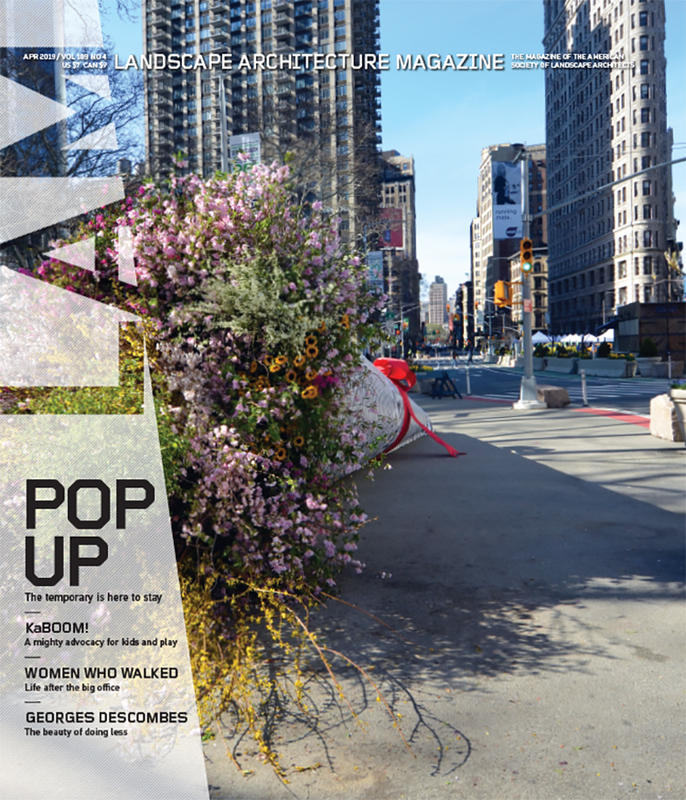 We recently came across this piece by Brittany Patterson at E&E Publishing on green roofs in the nation’s capital and their enormous (and necessary) benefits, which was originally published behind E&E’s paywall. E&E, which does excellent daily reporting on climate change and energy issues, has kindly allowed us to repost the article in full. Nestled on Eye Street in downtown Washington, D.C., near the heart of the bustling city lies the headquarters of the American Society of Landscape Architects (ASLA). From the front, the brick building looks like any other in the neighborhood, but take the elevator and a flight of stairs to the roof and you’ll find yourself surrounded by rows of green Sedum, blooming prickly pear cactus, and patches of lush butterfly milkweed and hare’s-foot clover. It’s almost possible to imagine you are sitting in the tranquil countryside, not just on the roof of a building covered in foliage. 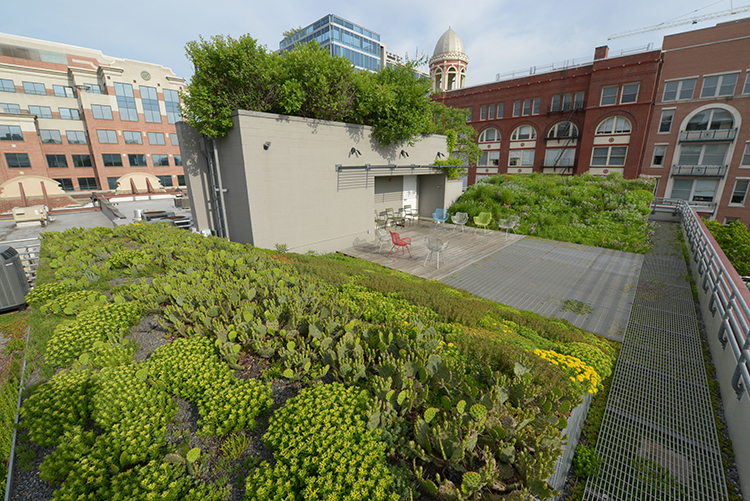 As relaxing as they can be, green roofs are more than just easy on the eyes.